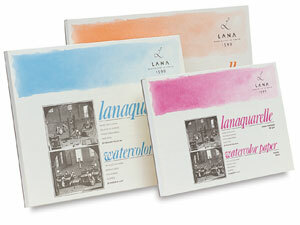 Lanaquarelle blocks are 100% cotton, neutral pH, 140 lb (300 gsm). The blocks consist of 20 sheets bound on 4 sides. 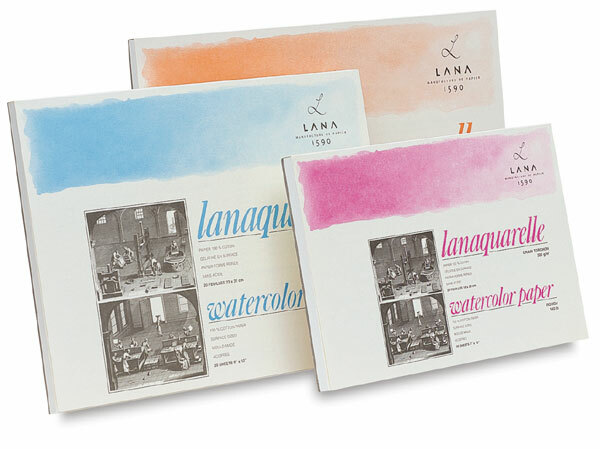 Available in Cold Press, Hot Press, and Rough.